If you think running measured routes and monitoring time and distance is strictly for outdoor runners with GPS and not for those on a treadmill think again. 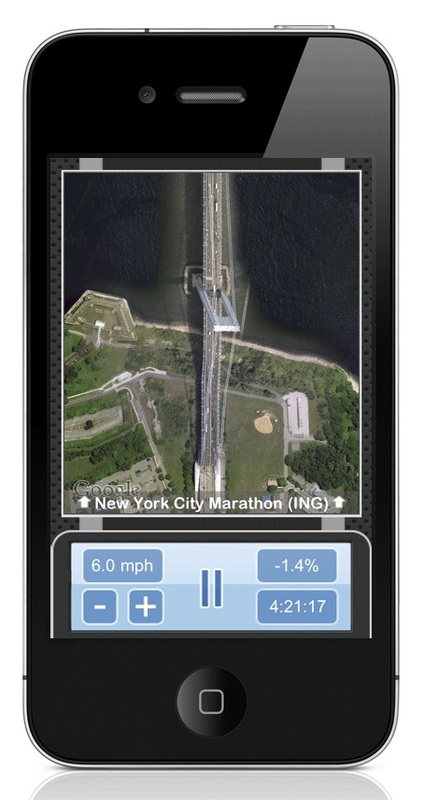 A new app for the iPhone called Fun Run Trainer lets you simulate running outdoors when you are on a treadmill. The app uses Google Maps satellite images of any location you choose. It moves through the area at the speed you run at on your treadmill. This allows you to follow a route as if you were actually there. If you are thinking that an app like this can’t take into account terrain changes, think again. You are given information about changes in incline as you go along, so that you can practice tackling the hills on a route. The app has more than 200 locations built in, but you can create your own runs online and sync them to the phone. The app costs $5. We’re going to give Fun Run Trainer a thorough testing, so check back soon for a full review. Meanwhile there is more information at the company web site here.